« Emerald ash borer losers…and winners? The New York State Department of Environmental Conservation (DEC) and the New York State Department of Transportation (NYSDOT) today announced they will hold four public meetings in September about the management of the Remsen-Lake Placid Travel Corridor, a 119-mile rail line in the western Adirondack Mountains. 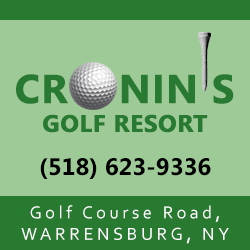 Sessions will be held in Old Forge, Tupper Lake, Ray Brook and Utica. This is a public debate that critics of the tourism train now operating in the north-central Adirondacks have been demanding. A growing advocacy group calling itself ARTA wants the track repurposed as a multi-use trail. Train buffs say the tourism railroad offers a unique, historical attraction for visitors. The issue has divided long-time allies, and meant peculiar partnerships between old foes. But this is the first time that state officials have waded into the fray. Information and comments gathered from the public and stakeholder groups will help the commissioners of the two state agencies determine whether to amend the Remsen-Lake Placid Corridor Unit Management Plan. The plan, adopted by DEC and NYSDOT in March 1996, assesses the natural and physical resources along the 100-foot-wide corridor and identifies opportunities for public use. It guides how the corridor is used and managed. The public meetings are scheduled for the following dates and locations. The sessions will include a presentation by the state agencies and informational stations where the public can give state agency staff their comments and ideas verbally or in writing. All of the meeting facilities are wheelchair accessible. Requests for directions or specific accommodations for any of the meetings may be directed to 518-897-1200 or 315-793-2327. Written comments also may be submitted by Sept. 25 to NYSTravelCorridor@dot.ny.gov, faxed to 518-457-3183, or mailed to Raymond F. Hessinger, Director, Freight & Passenger Rail Bureau, NYS Department of Transportation, 50 Wolf Road, POD 54, Albany, NY 12232. The state acquired the Remsen-Lake Placid Travel Corridor in 1975 from the bankrupt Penn Central Railroad. The rail line was constructed in 1892 and was operated by New York Central Railroad and, later, Penn Central Railroad until freight service ended in 1972. NYSDOT manages the line in keeping with a Travel Corridor Unit Management Plan developed in conjunction with DEC. 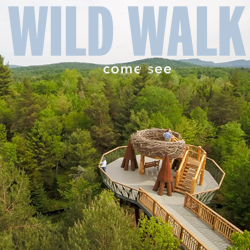 Approximately 100 miles of the corridor is located within the Adirondack Park. An additional 19 miles is located outside of the Park in the Tug Hill Region. As it is with most Adirondack debates, a few people take sides while a silent majority couldn’t care less. It also divides history buffs and snowmobile buffs, and exercises business people, anti-tax people, and bicycle riders. There’s something for almost everyone! Rip out the tracks! RR fans had their turn, it’s not working. We don’t have $20-30-40 million to support their dreams. I know if the rails were gone I would use the trail at least 10-15 times in the winter. If the tracks stayed, regardless of how much money they waste “rejuvenating” the train system, I wouldn’t use it once. Ever. Why don’t they leave the tracks from Utica to wherever it goes (Theandra? ), and rip out the rest. Then both sides will have something. And a bike path between Saranac Lake and Lake Placid will be an incredible boon for the area – not just for tourists, but for residents. This is not a debate about the train. This is about the appropriate use and economic benefits of the use of the “Remson- Lake Placid Travel Corridor”. All of which is owned by the people of the State of New York. Brian m is right. The train people had their chance, and the results are in. The novelty train ride is not an economic driver. Snowmobiling is an $800 million business in NY, and $245 million of that is in the Adirondacks. Let’s tap more of that in the Tri Lakes. Rec. trails seem to be the next hottest thing going. The next step is to get people with economic vision involved in ANCA and other related groups, instead of railroad buffs who want the state to subsidize their nostalgic dreams. It’s very simple. Most tourists will ride the train one time and that’s it, whether they loved it or hated it. Cyclers, joggers, walkers and snowmobilers will use it over and over and over again. And let’s stop the fantasy of passenger trains through the Adirondacks. Residents won’t use it, and tourists won’t use it. Can you imagine a typical family of four with stuff crammed to the roof in an SUV opting to lug all that stuff onto a train? You have to be kidding! I can only talk about what I have done and what I would like to do. I have taken my wife, friends, and other family members to snowmobile in Old Forge and surrounding areas as well as Saranac Lake and surrounding areas and have brought money into those areas. It would be great to be able to connect those areas with the Rail Trail, not only for snowmobiling, but for the other activities I enjoy, like hunting, fishing, hiking, with family and friends. If it is about economics, I would like to be one of the people to do my part and spend money in the towns and villages in between Old forge and Saranac Lake with the activities I enjoy. Rip up the tracks. Put in a road for cars. Take some pictures and leave the train to history , More people would enjoy the trail and spend whatever money they have on the hikeing,snowmobileing and bikeing ,cross country skiing etc.etc. Leave it rough with minimum maintenance so we taxpayers don’t have to pay to much to keep it up ,but open it to the wide group. Restaurants ,bed and breakfasts and all sorts of tourist traps could open up in the little towns between Placid and Old Forge or Remsen or Utica. I’d like to see 4 wheelers be able to use it too but that might be asking for too much. Key word: “bankrupt”. The viability of the rail corridor was decided in 1972 and the matter should have ended then. 41 years worth of tax dollars sucked into this black hole and some would continue to throw good money after bad! Only in NY. Yes, allowing 4 wheelers would be asking too much. Mostly all great comments. Now let these voices be heard at the hearings. You gotta know that the train folk, as small of numbers they are, will be out in full force so it’s very important that the majority attend these hearings and be heard. Maybe the best decision would be to do nothing. Don’t spend any tax dollars for anything. When the RR went bankrupt the state acquired the land. According to article 14 of the NYS constitution doesn’t land acquired by the state become part of the Forest Preserve? Don’t parts of the corridor run through Wilderness land? Aren’t bikes and snowmobiles (and trains for that matter) illegal on Wilderness land? I don’t see any exception for this land in the article? Isn’t the RR doing quite well (and expanding) at the southern end? The problem with the northern end is that no one is very interested in a “scenic” RR that runs past a propane tank storage lot and a sand pit. You can do that on a MARC, LIRR, or Metro North train. Maybe it wouldn’t be a flop if it went through the scenic parts of the corridor? What is the reason for success at the Old Forge end? It will be interesting to see what the folks say down in Utica. I don’t want to hear another word about increasing taxes for anything while the state is spending money on failed enterprises, special interest projects, marginally profitable businesses and other “nice to have” projects. Spending tax dollars on idiotic projects like bankrupt railroads has brought the state to its current financial condition: bankrupt. Ooohhhh, there’s that word again. Just to clarify two points in the above comments. 1) ARTA’s proposal leaves the tracks from Utica to Thendara, so there will still be an Adirondack Scenic Railroad. 2)The rail corridor is indeed state land within the Adirondack Park, but the State Land Master Plan classifies it as a “travel corridor”, the same as the existing highways. Rtes. 73 and 86 have designated wilderness areas on both sides of the road In Wilmington Notch, Cascade Pass, and Chapel Pond Pass, but no one is saying these roads should be abandoned to become wilderness. The rail corridor will remain a travel corridor since ARTA and every agency (DEC, DOT, and APA) all agree that this corridor should be preserved in the event that at some (likely very distant) future time rail service is again needed. Well there you have it Larry has told us that he will have no more of it. I guess that ends the discussion! Tony, I think a good lawyer could make a strong argument that a recreational trail (or even a scenic train, or my stupid idea for a hiker/paddler RR!) is not really a proper use of a “travel corridor”? Traditionally the law has protected transportation infrastructure, especially related to commerce. You don’t think an environmental group might try to file suit when all those snowmobiles start zipping through Wilderness tracts? It sounds like this trail project is going to have hundreds of thousands of people using it each year? Maybe this “partnership between old foes” is a bit of a ruse to get rid of those tracks now and the snowmobiles later? “ARTA’s proposal leaves the tracks from Utica to Thendara, so there will still be an Adirondack Scenic Railroad.” Wouldn’t the UMP classify the whole corridor one way or the other? Also, since they are expanding north with the RR from that end how does that fit with a “trail” moving in the other direction? Would the UMP ‘halt’ the RR where it is now at the southern end? Personally I think it should be all one thing or the other. Not having the ability to ride all the way to that end (which isn’t really that far from a bike touring perspective) will have a negative impact on the trail. When politicians are faced with two passionate sides of an argument, they tend to punt. In my estimation, there is no discussion. Bankrupt people shouldn’t bother discussing how to spend money they don’t have. I dont know about you Larry, but Im not bankrupt. Paul has a good point. The preservationists might be going along with this trail idea for now and will then work to prohibit snowmobiles. I do smell a ruse. Tony’s point is salient. 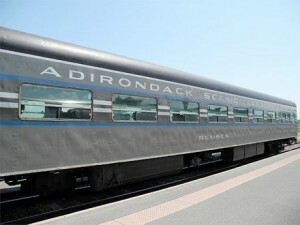 There will still be a tourist train in the part of the Adirondacks where it’s been economically viable. The tourist train has apparently done well in the Utica/Old Forge area but has done poorly in the Lake Placid and North Creek areas. Stop pouring money down the black hole and create a multi-use trail, the sort of activities that has a proven record of success in the region. But Brian (1258) how does it work when you are expanding the RR in a northerly direction into some of what would be the coolest part of a rail trail? The other point your comment raises is the question of could a full blown RR running through the best part of the corridor also be viable. I don’t think there is any debate that the northern end has been a dud because of where it goes, basically to nowhere and it never gets to any of the scenic part of the line. Seems to me like we are talking about a rail-trail to nowhere in some sense. So it will just end when it runs into the expanding RR? Like I said it should be all of one or all of the other. That is the only way you end a civil war or a train versus trail debate. Yes Paul, as of this year the train service has expanded to Big Moose thanks to federal grant of about $1.4 million. I know there is no more federal money still to come, and the state doesn’t have any money for such projects either. It will cost far more than $1.4 million just to get to Beaver River, the next destination on the line. The Big Moose service this year has been once a week with maybe 50 riders each week once the initial excitement wore off. The railroad is apparently reporting 4,000 riders to date, but even counting each round trip as two riders (which they do on the Placid-Saranac run) I have to question 2,000 passengers given the observed number getting off at Big Moose. I therefore seriously doubt that this service will prove viable over the long term at $56.50 per person (lunch is included) for a 9-1/2 hour round trip. Extend that ride beyond Big Moose and both the cost and time commitment go up. Again, I guess we’ll never put an end to the scare tactic that this is all a ruse to expand wilderness. While a “good lawyer” might be able to make the case that a recreational trail is not “transportation”, an equally good lawyer could just as easily cite numerous examples where adjoining private landowners have not been able to reclaim their piece of an abandoned rail corridor because the intent is to preserve it for future transportation needs. And it’s always easier to defend the status quo than make a change. Tony, “scare tactic” come on. Are you saying that I am employing some kind of “tactic”? That was just an outside observation, give me a break. You have seen from my comments that I am no supporter of the status quo and a trail is not a bad idea, as I have said many times. Here is my observation. The numbers estimated by the trail advocates are saying that perhaps hundreds of thousands of bikes (I think the number was 140K) per year might utilize the trail. Also, the trail will draw in thousands of more loud (and many would argue dirty) snowmobiles into Wilderness areas. The fact that trail supporters have been able to garner support from folks that would normally deplore such a plan is in my view remarkable. Haven’t some environmental leaders spoken specifically about the legality of this corridor? Haven’t some environmental groups questioned even the legality of allowing snowmobiles in the Forest Preserve? Haven’t some talked about the legality of what they call “defacto roads” on Forest Preserve land (isn’t there a suit right now)? How would they describe this once it is humming with snow machines? Just leave the tracks on there to keep the motorized crowd out and put a hiking/bike trail next to it. Seems like this is being made far to complex. I am not convinced of the numbers however for a new trail on the old rail lines. Is the rail ditch now crowded with hikers and mountain bikers? Mervel, just to let you know – the reason that this has come to a hearing is that there is no way to put a trail alongside the railroad in many parts of the corridor. The corridor can be preserved, the rails can be taken out (they would not support a modern upgraded train service, in any case) and we could unleash the potential for people to come here and bike/walk/birdwatch/snowmobile* through a gorgeous landscape. *Yes, as a card carrying greenie, I would prefer that snowmobiles were not allowed. But who would maintain the miles of track without the snowmobile clubs? We can cohabit peacefully, more or less. Like I said the fact that “a card carrying greenie” would want to allow lots more snowmobiles to rip through places like Lows lake is amazing. More power to the trail advocates for sure. erb, how do you feel about what are projected to be 140,000 bikers cruising through there? This rail to trail is a good project but it is probably no birders hiking trail? They could do that now if they want. Mervel, the rail and trail seems like sort of a compromise but personally I would not want my kids riding next to a train. Imagine being on some kind of tressel bridge with a train passing by. Forget it. It gives me the creeps just thinking about it! Completely off topic because I just can’t help myself, but did everyone see the Post Star story about the failure of the big development project behind West Mountain ski area? This project lies immediately outside APA jurisdiction and yet it failed to come to fruition. In spite of all the possible comparisons to the Big Tupper project people don’t seem to want to pay attention to it. Okay, back to your previous railroad schedule. The Saratoga and North Creek Rail Road keeps saying that they are going to make money by hauling frieght, some garnet out of Barton Mines and rock (yes, rock) out of Tahawus — because , you know, rock isn’t generally available at sites that don’t need 30 miles of railroad track through the ADK Park. Anyway, they predict that the freight business is going to happen any year now, maybe 2014. Yes, you for some you have to pick and choose what types of government subsidies you support. It is my understanding that the “rock” in Tahawus is already blasted and mined and ready to load. There are many projects (Onondaga lake clean up project for example) where it might make good economic sense to use that rather than blast and mine more fill closer to the site. But you may be right perhaps it makes no sense? Knuck, the story link you provided was interesting. Not surprising that a development project consisting of 19 separate LLCs has run into problems. I don’t understand what your comparison to the Tupper Lake project is. Can you explain a little more? Yeah a trail beside the railroad would not be easy and I understand the issue with safety. But my point was that if we have this huge pent up demand for trails for birdwatching, hiking etc which would follow these rail lines, you would have tons of people out there now, which we don’t. I don’t see it, we have a good trail system in the ADK already some of it is indeed really crowded, however much of it is not crowded at all; particularly if you get away from the 5 or 10 big peak trails. The trails on these rail beds to me would not be crowded at all, they don’t climb a peak, they are relatively uninteresting from that perspective. Personally I would love them! But that is me, I am not buying the numbers put out by the trail people. What they would encourage would be vastly increased ATV and snowmobile use. Paul, the story I linked to is just the bitter end of a very long story about the owner of West Mountain trying to create a big development on about 2,400 acres of land mostly outside of the Blue Line. The development was planned for only land that did not require APA approval. After many years the development was approved but the owners ran out of money. The point is that it isn’t only the APA that slows development on major projects. About the number of LLC’s. If you own a ski area it is smart to compartmentalize possible loss from lawsuits. One company owns the ski business, another owns the land the ski business is on, another owns the ski rental shop which could be liable if a renter breaks a leg or worse. The bar is a profit center but also a liability, and the ski school, and there is a cafeteria and retail store. That count doesn’t include any real estate development businesses. And the original owner was in the process of selling the ski area so there would have been duplicates and some inactive businesses. I am really surprised that locals in the area along the tracks would even think to squeak about any penny coming into the Adirondacks, the railroad get around 50 million a year, I believe I read, I know they are volunteers but where do you think that money goes? right into the local economy. I have ridden the rails numerous times on my snowmobile, it’s currently legal trying to involve snowmobilers in this fight is wrong, Snowmobilers know what it feels like to loose a trail, and you want us to advocate to take one a away from another group? there are numerous hiking, biking trails that offer far better scenery, and realistically those trails can be created far easier than a new rail line. What ever happened to having a little respect for History? lets not for get the new surface will be crushed gravel, and it will be miles and miles before you find a single service on the trail. I think it flat out wrong to try and take away something with as much historical significance as the rail line that’s over a century old, and what do snowmobilers gain? a little extra time on the same trail we can already ride? not worth the battle in my opinion. a portion of the track was repaired already, in a few years more of it can be repaired. if you truly worried about wasting tax payer dollars there are far better fights than this 50 million dollars is literally a drop in the bucket for a state that has a muti Billion dollar budget, maybe welfare recipients should be working the tracks to help improve them, or even prisoners, there are plenty of places to hike and bike, and its already a snowmobile trail. Leave the train folks alone , it’s been there longer than any of us have been alive and they certainly can’t build a new line in the Adirondacks. Well you have some points. I mean in general I am not worried about taxpayer dollars as long as they are flowing to the North Country. So if the state is going to invest in this thing over investing in a trail than I would say that would be the way to go. I don’t think either are really that impacting frankly but if one brings in state money, go for it. Respect for history doesn’t mean you leave in place an antiquated bit of infrastructure that serves no purpose today and is blocking a better use of that space. They tore up the telegraph lines and paved the dirt roads eventually. If you tore up the tracks from Placid to Tupper, then from there you could link up to a bunch of trails in Hamilton and St. Lawrence counties, and snowmobilers from there could ride to Saranac Lake and Lake Placid. You’d be linking them all up to the busiest part of the Adirondacks north of Lake George and Old Forge, even if it gets half the use its advocates say it’ll get more use and have more economic impact than the scenic railroad. I agree there are better places to hike and bike, but it would still get a lot of use — you’d be linking up Saranac Lake and Lake Placid. There are practical reasons to give people a way to walk or bike between the two that doesn’t involve risking your life on the side of Route 86.